Sue’s Tiny Costumes in partnership with Alaska Office Specialists will now test and write detailed instructions for YOUR design. 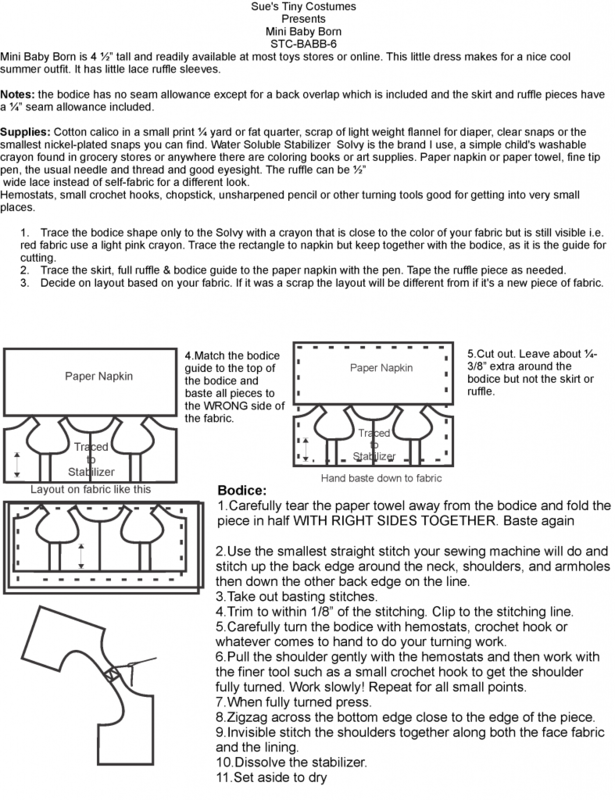 Your sewn pattern for a doll outfit, bear outfit or other craft. This is a contracted service and fees are based on the item being crafted. Contact me via the below form with Pattern Instructions Needed in the subject. What pattern have you had rattling around in your imagination that I can help bring to life? Tagged pattern instructions, pattern writing, services, technical writing.